1- and 2-bedroom properties are popular year-round, and as usual these made up the majority of lets in the first three months of the year – many letting on the first viewing. For example, a 1-bedroom apartment in Woodstock at £1,0251 and a 2-bedroom apartment in Old Headington at £1,375 (photo below). We normally expect the family homes market to kick in from April onwards, yet we’ve listed and let larger properties across the county this quarter. 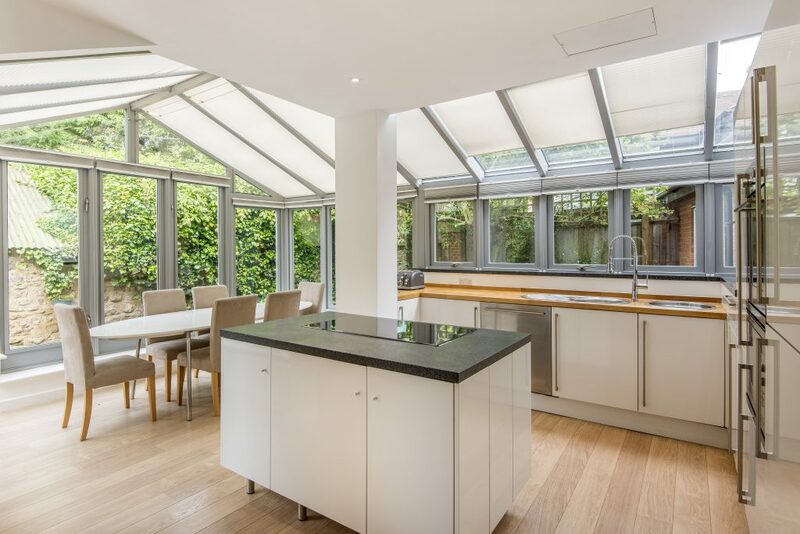 For example, an impressive 6-bedroom detached house in Merton at £3,999 (lead photo) and a 3-bedroom detached house in Summertown at £2,750, which let to a family moving out of London. In some areas of the county applicants have been more decisive with some even having made their minds up online before contacting us. This is why property presentation is so important not only in terms of the property itself, but the online marketing. Video tours have helped to let a number of properties, including a 3-bedroom house in Abingdon which let to an applicant relocating from North America. We’ve seen a few examples of tenants coming into the rental market having sold their own property but not yet found their next purchase. This avoids breaking the sales chain and allows them time to find the right home. 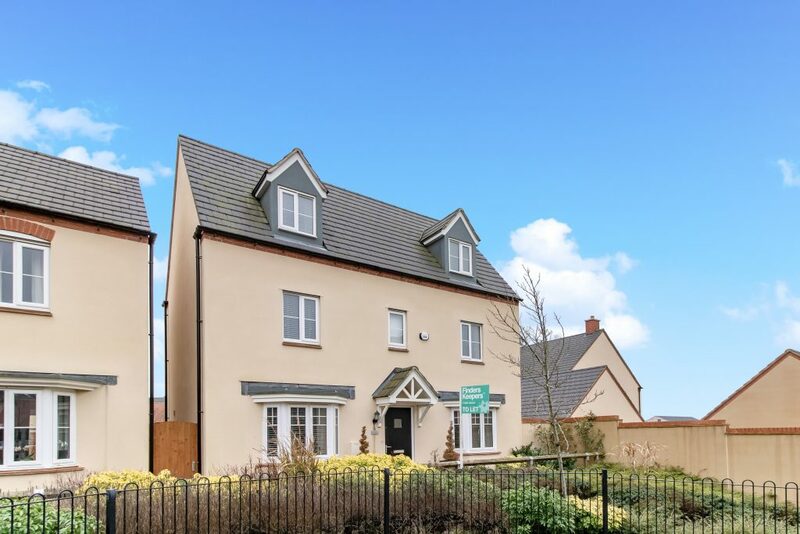 In Bicester, a 4-bedroom house at £1,600 (photo below) was let to a family who have sold their own home and bought on the Graven Hill self-build development, so need to rent in the interim. If you are considering letting your sales property we can help (01865 302302). Our renewals have increased 6.9% year-on-year and a notable trend is the length of tenancy requested by tenants. Some want the security of a longer term tenancy and some want the flexibility of a break clause. Whilst it would be easy to blame this on the B-word, in some areas of the county, such as Abingdon and Bicester, the shorter-term renewals are due to tenants taking advantage of the incentives at the new build developments and they are leaving the rental market altogether. As ever, we have taken a very proactive view of managing the letting of properties, including reviewing rent levels frequently. 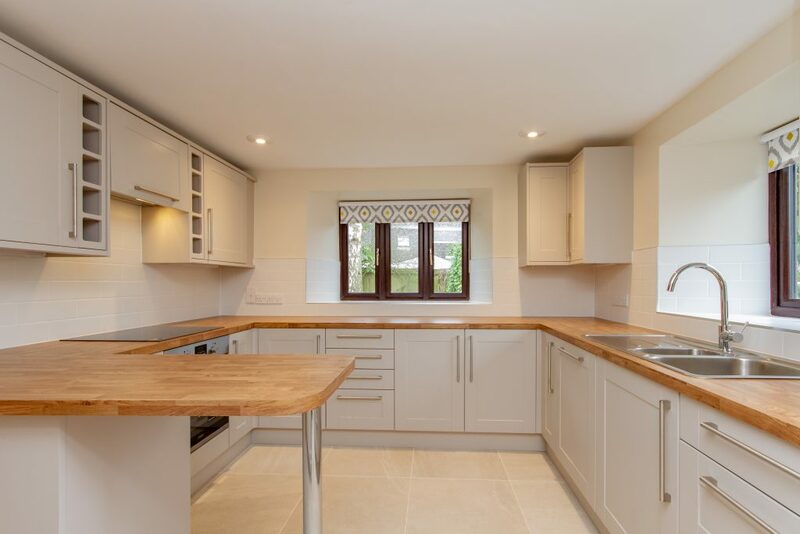 For example, a newly refurbished 4-bedroom house in Abingdon came to market at the ‘wrong’ time of year for its size (photo below). We recommended a short let at a lower rent to bring the property back to a better time of year. We promptly let it to a family relocating who want to rent short-term while they look for somewhere to buy. Having an action plan to ensure the property is let at the best rent to the best tenant is vital; it’s what you pay your agent to do and if they’re not doing this you may need to consider who you work with in the coming months. If the uncertainty of the last couple of years continues then now is the time to ensure your property stands out against the competition. This helps to let the property quickly and in some cases can also increase your rental income. For example, a 4-bedroom house in Ascott-under-Wychwood had a full upgrade through our building division, Bricks & Mortar (photo below). 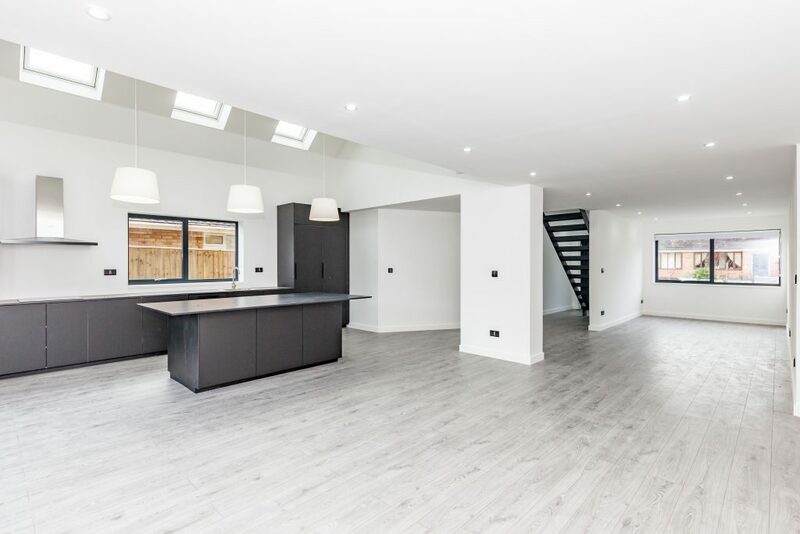 The works completed early this year and the property let at a 23% rent increase. The sales market is slower and many vendors are waiting to see what will happen in the coming months, but some are willing to reduce the price to enable their onward move and this presents a fantastic opportunity for investors. Our sales and acquisitions department, Inspired Investment, has had a busy quarter acquiring properties for a range of clients across the county. The majority of these have been purchased with a tenant in situ, for example a 1-bedroom apartment in Witney where the new landlord will be earning a rental income and getting a 5.5% return from the day of completion. However, it’s not just about investing with a tenant in situ. Inspired Investment had great success at end of last year at Graven Hill in Bicester where the developers gave Finders Keepers exclusive access at preferential rates and we acquired three properties for clients. If you want to be kept up to date with investment opportunities email inspired@finderskeepers.co.uk. Whilst the outcome of the Brexit process will determine the next 12 months, the fundamentals of Oxfordshire’s economy remain broadly positive. The county is forecasting continued economic success as part of the Growth Arc2 and the Government has committed to funding the Joint European Torus programme at Culham as a wholly UK asset in the event the European Commission does not renew the contract, giving certainty to continue the ground-breaking fusion energy research3. These sectors create highly skilled jobs and will help to increase tenant demand. 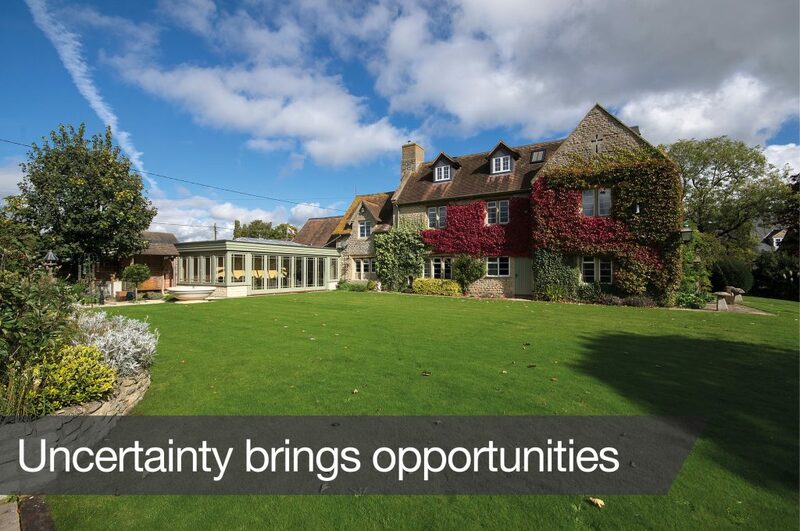 Residential property remains an excellent investment – particularly for cash buyers. Nevertheless, we anticipate landlord and tenant sentiment will remain cautious in the coming months. The market feels like a coiled spring waiting for a Brexit resolution.